Modern day security means you need to control who has access to your premises at any given time. Here at Peel Security, we fully understand this. We have a couple of access control solutions that cater for any type of situation, whether this is for the home or the more demanding bustling commercial industry. 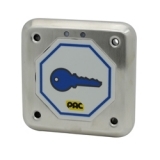 We can install and fit a number of access control solutions appropriate for each situation. PAC systems are great for organisations with employees coming and going throughout the day. Employees get scan tags or cards are read by a contact reader at any door you wish to secure access. Only employees with this tag /card will be granted access. 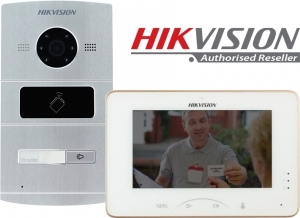 Another great product is the HikVision door control system. You can see who exactly is ringing at the door, so you know it it’s someone you should give access. Comprising of a call button and a camera. The receptionist or security centre will be able to see the person asking for access in HD both day and night. Our access control systems can be fully customised to your needs and can be linked up with existing installations and CCTV. A great example of this in action would be when someone rings your doorbell. Our Hikvision CCTV setups can pan too, and zoom in on the guest so you can fully identify just to whom you may be about to give access to. One of the most basic ways to control access if via a keypad. A great cost effective way to keep out unauthorised people, this method involves letting people like family and employees the correct keycode. The downside, is people could share this set code. A great way to keep only the people you trust into any area of your premises is by issuing trustees with access cards or tags. These, when scanned, either allow or deny the person entry automatically. No more paid staff buzzing people in. It's a fact of life that employees join and leave companies all the time. With access control from Peel Security, you can keep your access tight by disabling key cards and fobs on the fly. Once they have finished their last shift, you can terminate their permissions to restricted areas at the touch of an app. 07900970470 to take control over who has access to your premises.